CLIFF NOTES: a case is made, below, that inflection points in the ratio of GOLD/SILVER cause big movements in the spot gold and silver prices. Also, it appears that Gold lags. We are at a resistance level which “might” be one of those inflection points so expect the metals to get moving NOW or SOON. Probability points “lower” across the board for the metals. Ratio Analysis – we love using the patterns w/ ratio analysis and, of note, is the noticeable strength in Gold vs Silver the past couple weeks. 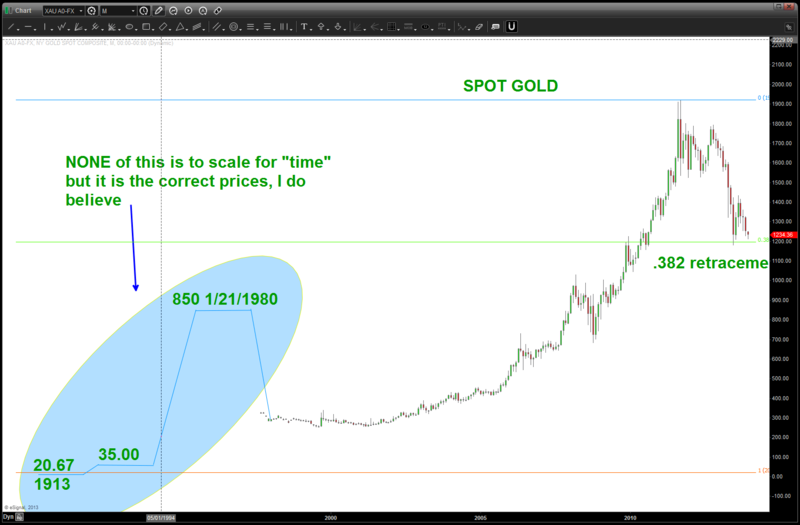 So, our first chart is going to be the relative strength of spot gold / spot silver. Basically, when the candles are going DOWN then SILVER is “stronger” and when the candles are going up GOLD is “stronger.” After looking at this chart one thing stood out … it really didn’t matter which direction the relative strength ratio was moving, but when the ratio shifted and one of the assets noticeable started to our perform or under perform THEN we had an inflection point in silver. Below you will see a set of three charts showing you the PATTERNS that were present in these ratio’s which, if we knew about them, might have helped us position ourselves – based on other patterns and technical factors — on the long or short side of the spot silver or spot gold market or both. so – now that we can see resistance ahead, has the ratio really helped pinpoint inflection points? if we do break that level – look for 950-1000. Spot silver – sticking w/ my guns here and a buy at 14. Copper – folks, still sticking w/ a MAJOR 5 wave move in copper complete. More to the downside and, remember, how FXI (China) likes/mirrors copper ….